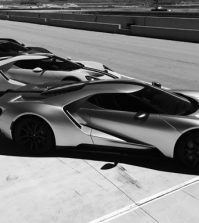 Last week during Ford GT National Rally 10, Ford Global Product Development chief Raj Nair announced the 2017 Ford GT allocation strategy. 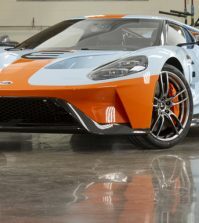 In front of an understandably enthusiastic crowd of current Ford GT owners, Nair detailed that the new GT would be allocated on a customer basis through an application process, and priority would be given to the most loyal Ford customers, including owners of the last-gen GT. This begins to answer one of the burning questions of the new Ford GT program: who will get them and how? With a production volume of only 250 cars a year worldwide, the allocation process is designed to help place the car in the hands of the most loyal Ford and Ford GT enthusiasts. Ultimately, the decision makes sense, as a mass of “investment” GTs sitting under covers in the corners of warehouses don’t do the car or the development team justice. The crowd of GT owners on hand, while understanding there is still absolutely no guarantee of an allocation, were very appreciative to at least have a toe in the door based on their loyalty to the marque. The fact that customers will be able to take delivery at a certified dealer of their choice is also big news. It would seem to ensure that the cars will be sold at MSRP, as the assignee can choose from a number of delivery points. There was no word on the final number of dealers that will be able to participate in the program, but we expect it to be small, and we expect that dealers will be well-compensated for their role in the process. The application process for new Ford GT ownership will begin in early 2016. 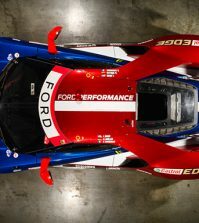 The purpose of this communication is to provide dealers with new information on the Ford GT program and establish timing expectations for the ordering process. Ford GTs will be assigned based on a customer application process, offering a personalized experience for every Ford GTbuyer. The Ford GT customer application process will begin in early 2016. Details on the application process will be provided closer to the application process start date. Ford dealers will be able to opt-in and certify to sell the Ford GT. Details on the sales certification requirements will be communicated later this year. A separate process will be established for Ford Dealership owners who wish to register and own a new Ford GT. Limited production, high cost materials/parts and unique technologies will require unique factory-sponsored processes and resources to support customers and dealers. A separate service opt-in and certification process will be communicated in Q2/Q3 2016. We recommend that dealers refrain from taking customer deposits. As we continue to develop and refine the unique customer selection, allocation, and distribution processes for this extremely low-volume supercar, we will keep dealers fully informed. I am a very enthusiastic owner of a 2014 Shelby GT 500 which I purchased in July 2013 through Jack Demmer Ford in Wayne, Michigan. My first car was a 1967 Ford Mustang, which I purchased right out of high school. I would very much appreciate if you folks would notify me by E-mail when Ford GT applications become available. Will do! Expect applications to be online some time this month, but don’t worry, it’s not a first-come, first-served process in case you’re a little late. I am the original owner of a 1969 Boss 302. It has 17,000 miles and has not been driven since I returned from Vietnam in 1972. I have owned 1966 and 1967 Shelby’s, Current driving a 2013 F150 Platinum. My first car was a 1963 FB 427 Galaxy 500 XL which I inherited from my father. Now how more loyal can one person be? Just like many other people trying to have the right to purchase a new Ford GT, I bleed blue. I have only ever owned fords. My first car was a 1979 mustang pace car. I am also a proud 2006 Ford GT owner. I have had many other special fords allong the way. Like my 2001 Ford lightning. I am definitely interested in having the opportunity to apply for the chance to own a 2017 Ford GT. Please give me the opportunity to apply. Thanks. 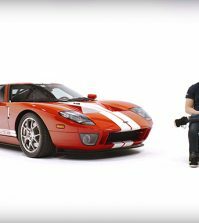 Pingback: Want To Buy The 2017 Ford GT? You Will Have To Prove You’re Worth It | Auto Blog News - Universe Best Auto Blog News.